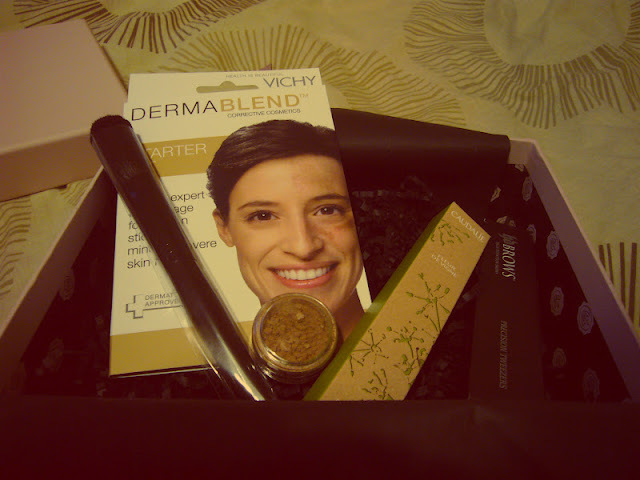 GlossyBox June: a bit of a dud?! I was so looking forward to my June GlossyBox because it felt like it had been a long time coming and I was excited to see what was inside. I was mildly disappointed to begin with-it's a funny one because initially I was a bit gutted with my pick but then reading other subscribers reviews leads me to think that my box was quite a good one. I don't know, I think it will be a "grower" but the box certainly didn't have the impact of other boxes I've received before. On opening the box I was confronted with a vile looking foundation palette-I've heard of Vichy and I have to say, this marketing is NOT WORKING for me. 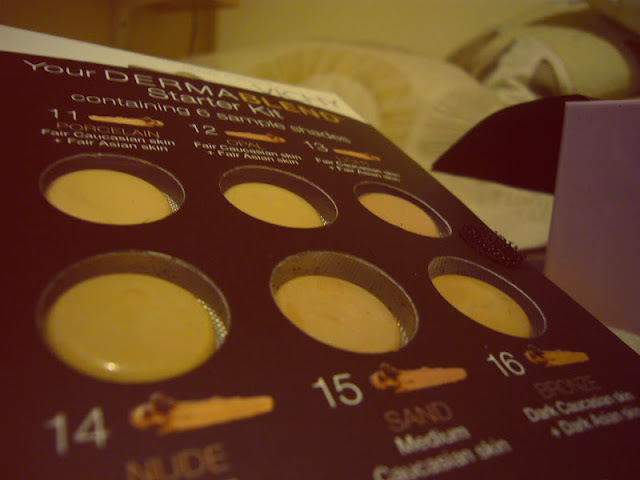 The smiley woman and blister pots of multi shades of foundation looked cheap and not at all something I would expect to find in a luxury beauty box. I don't really get it, either-why send so many different shades? Surely I am only going to use the closest match to my skin? Or should I mix them up to tailor them to my needs? I haven't even read the packaging properly because I tossed it aside when I opened the box-obviously had a good impact on me! Not! 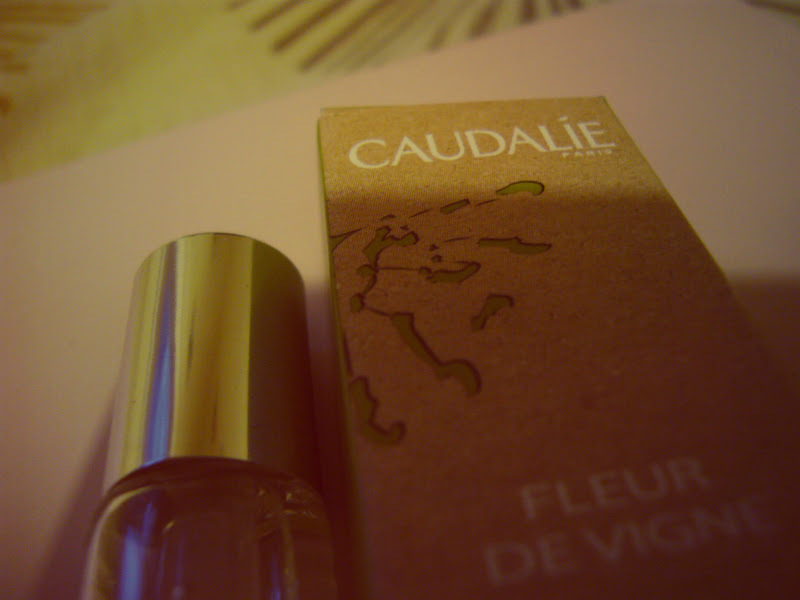 The product might be really good but, superficially or not, I was not impressed by the look of it. 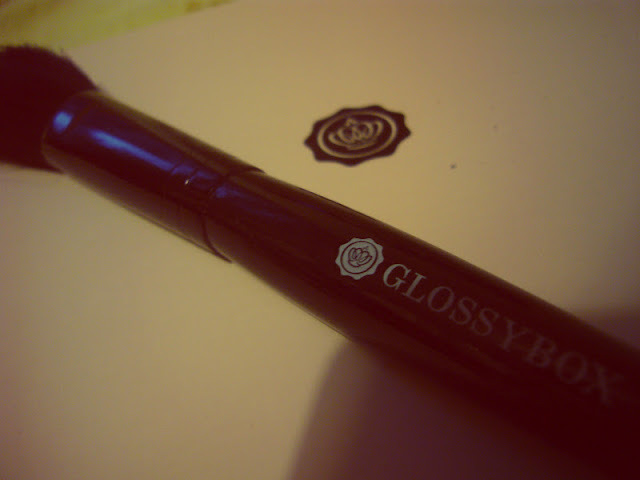 I was also really disappointed with the "GlossyBox" own brand brush. They claim this pro beauty brush is worth £15, really? 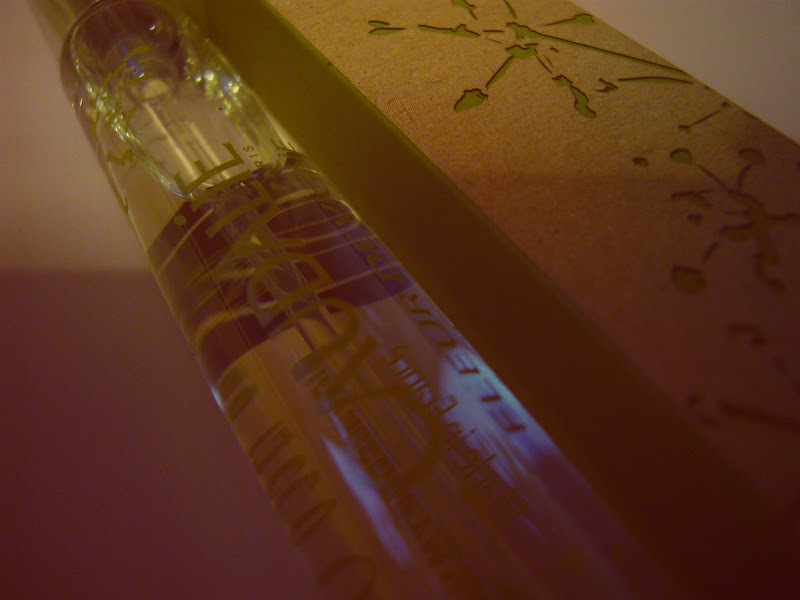 It feels cheap and scratchy and the handle is light and doesn't feel very sturdy to hold. I wasn't impressed but this could be because I've a) used Lancome brushes for years and nothing else compares in my opinion, and b) I'm always a bit dubious of "own brand" beauty products/tools in boxes like this-it's almost as if they've run out of decent products to put in and so have to make up the numbers. This said, mind, brushes are always useful and I'm sure it will be of some use in the future. So maybe I'll change my mind on that one! 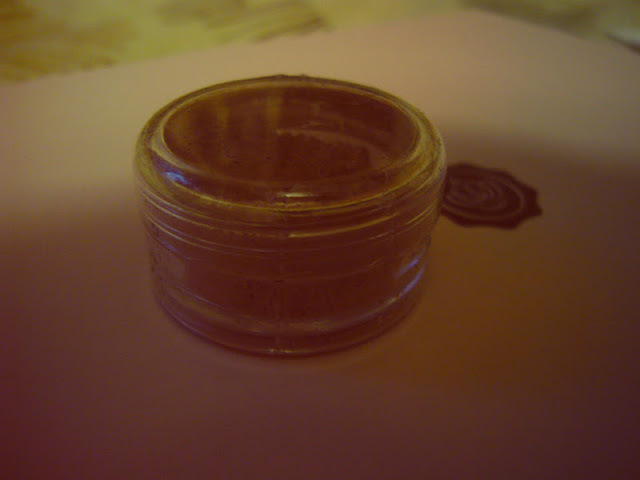 The BM Beauty bronzer is cute, you get a tiny pot but I don't think you'll need that much and even though I don't wear much bronzer I am going to try it out as a lighter blusher so I hope that will look nice, we'll see. What else did I get....Caudalie Eau Fraiche and the HD Brows tweezers were probably the products that made this box worth the money-maybe that's why the rest was a bit lacklustre. 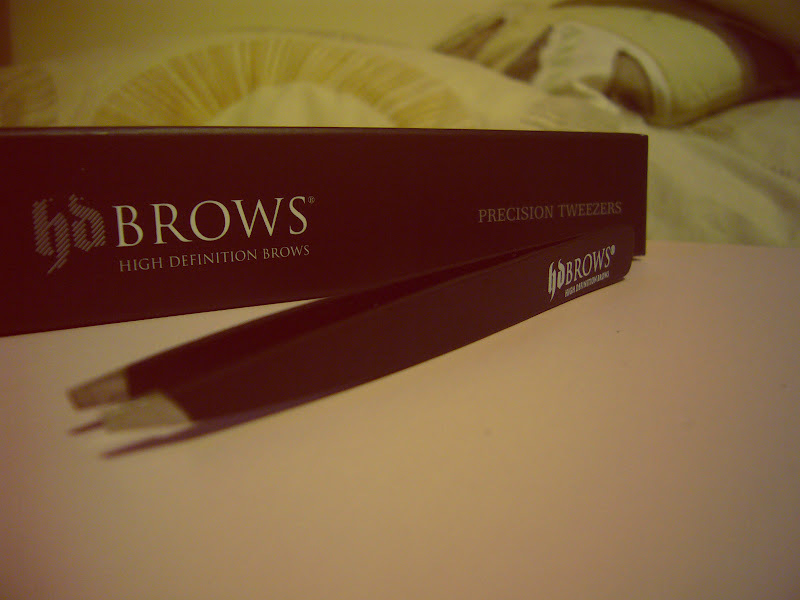 The tweezers are great and even though I don't actually need any (my Ruby and Millie ones are still going strong, plus I like a scousebrow anyway!) they're always handy to have so I won't have to buy any in the future. The Caudalie Eau Fraiche is a lovely scent and the bottle is quite big so I know I'll be using that a lot, it smells divine! 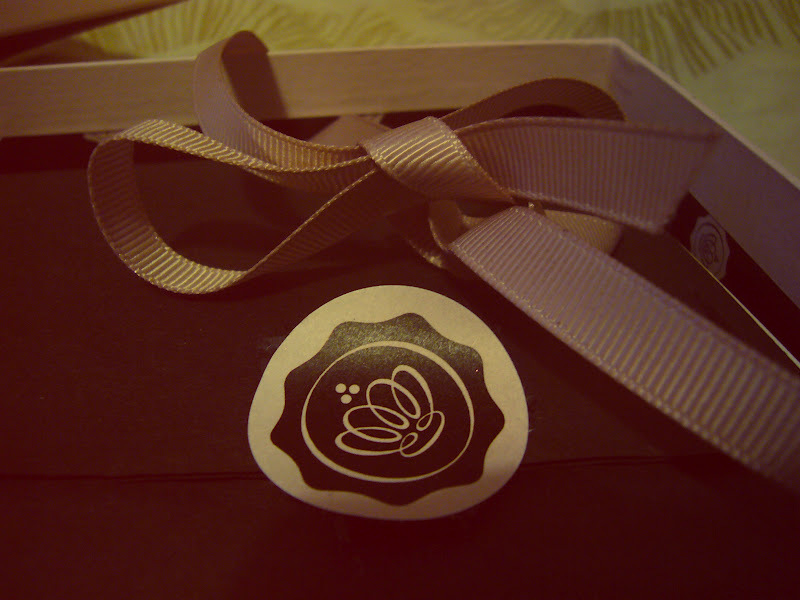 I think the main problem with this GlossyBox compared to others I've had is that the box seemed really incoherent. The 'theme' was "Summer Beauty" but I don't see how a blusher brush and a cardboard package of foundation dots fits in with this idea. I can see where you're going, GB, but you aren't there quite yet! I haven't unsubscribed to GlossyBox yet but this on receipt of this box, I've been the closest I've come to thinking about it. Must try harder next time GB! 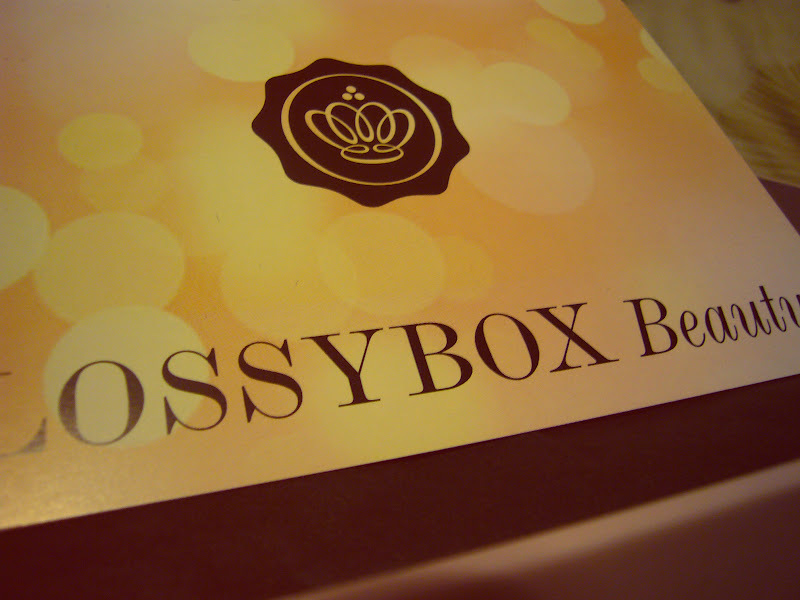 Did you get the GlossyBox this month, and what did you think of it? I'd love to know. Am I being too harsh? I can't seem to quantify what I mean really-just that I was a little disappointed! I always hear people talking about these boxes on twitter and although I remain a massive beauty product junkie I just don't fancy paying that money out each month for products i may never use. I know the idea is to test things but you can do that on a make-up counter or by asking for perfume samples for free of things you really want to try. Hope next month is better for you.